Back in the 1920s, some bonehead politicians got it into their heads that banning the sale, production and transportation of alcoholic beverages was a good idea. So, you know, the opposite of Las Vegas. Prohibition started in 1920 and ended on Dec. 5, 1933, and the anniversary of Repeal Day is as good an excuse as any for a celebration featuring hooch! In honor of the day, downtown’s Golden Gate will permanently change the name of its casino bar to Bar Prohibition. There may also be some gambling. The cocktails will be served in coffee mugs, a nod to one of the ways Prohibition-era drinkers out-smarted The Man. The Golden Gate. Giving your liver a workout since 1906. Beyond the new Bar Prohibition, the Golden Gate also has two outside bars, One Bar and the newly-opened Stage Bar. 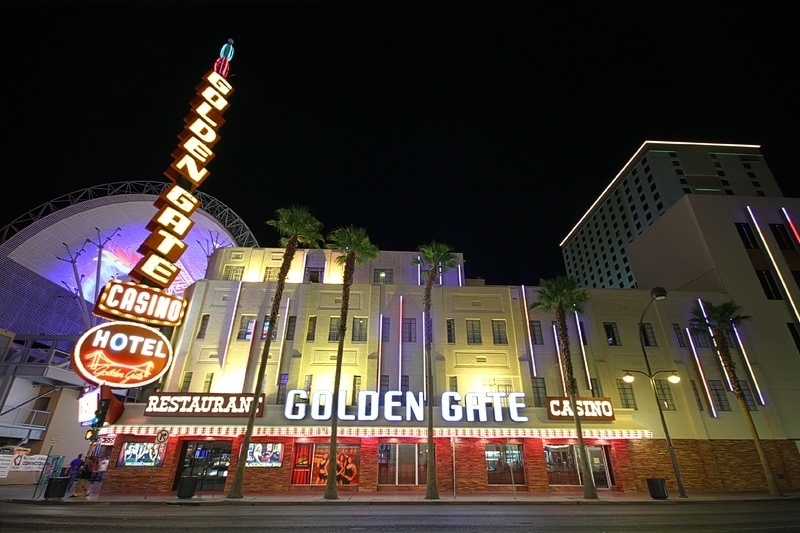 As the oldest operating hotel-casino in Las Vegas (it opened in the aforementioned 1906), the Golden Gate is the perfect place to celebrate Repeal Day in Las Vegas. 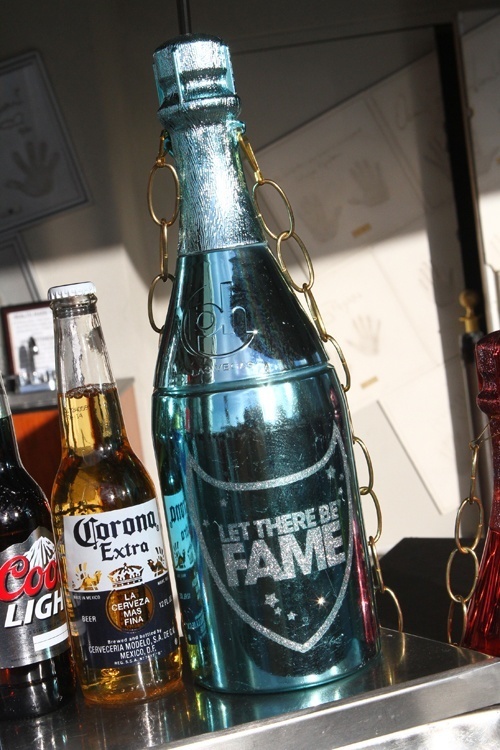 This entry was posted in Downtown Las Vegas, Las Vegas, Las Vegas Bars on November 30, 2013 by Scott Roeben. Don’t get us wrong. 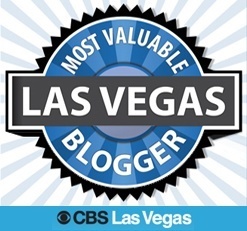 This Las Vegas blog is not recommending you fornicate with baked goods, necessarily. 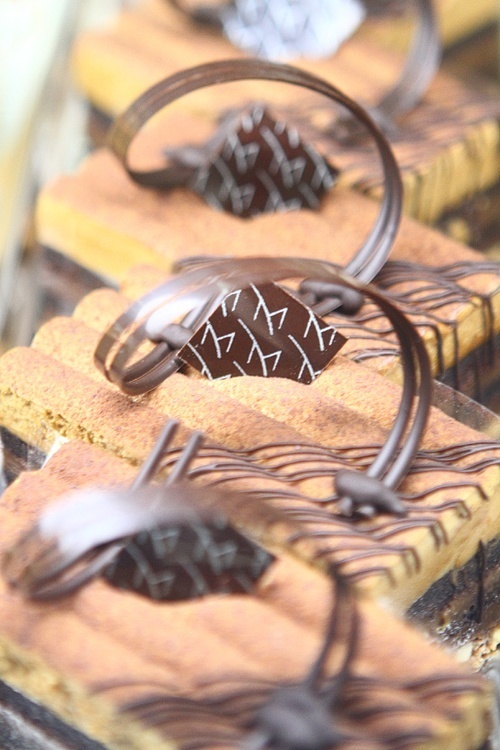 We’re just saying there are some temptations inside the Baby Cakes Artisan Bakery at M Resort you might be tempted to go all the way with. You have a one track mind. M Resort is about 15 minutes south of The Strip, and it’s one of our favorite places to eat, drink, gamble and fornicate. Although, not always in that order. 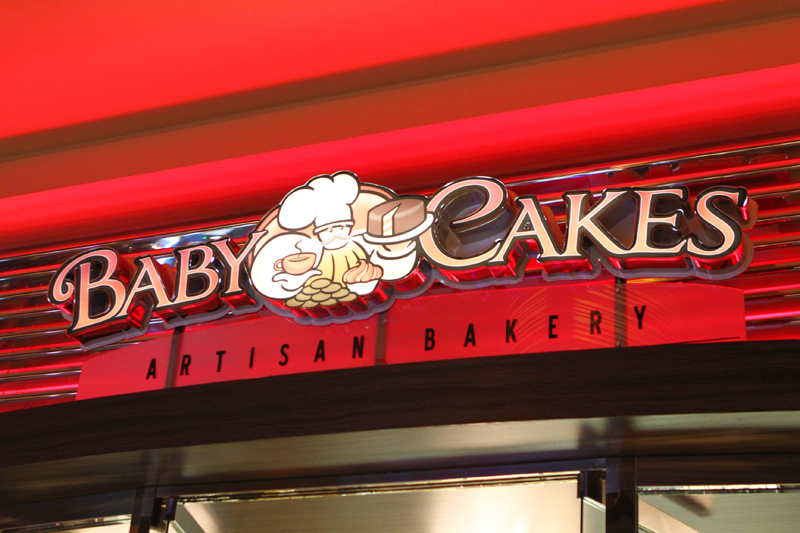 Baby Cakes is just off the casino floor at M Resort. It’s open 24 hours a day, for all your reckless caloric intake needs. Technically, this is healthy food, right? 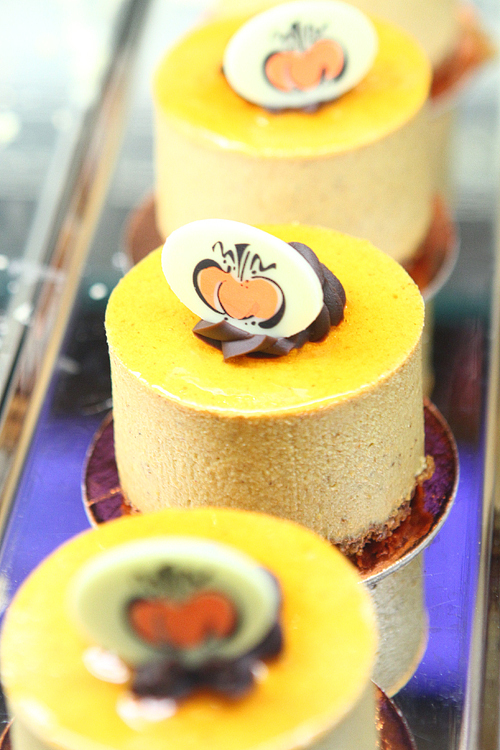 Aside from the titular cakes at Baby Cakes, the shop also boasts freshly-made pastries and artisan breads. 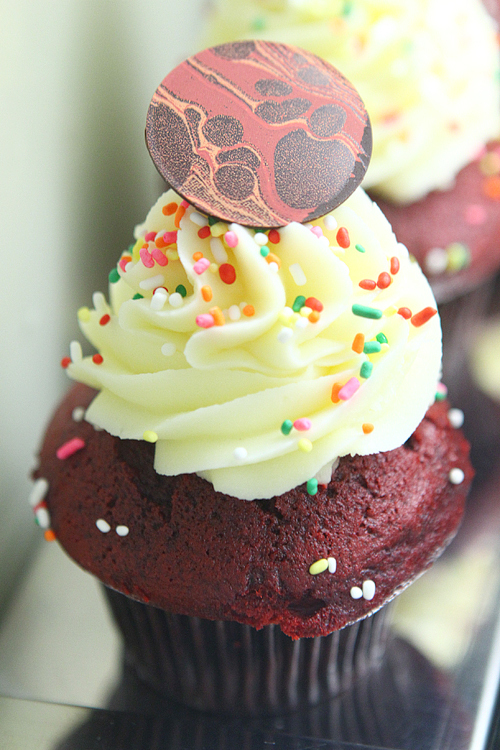 Fact: Cupcakes have fewer calories if you eat them super slowly, probably. The biggest dilemma at Baby Cakes is narrowing down your options. Self-restraint isn’t in our vocabulary. Then again, neither is concupiscent, although it probably should be. 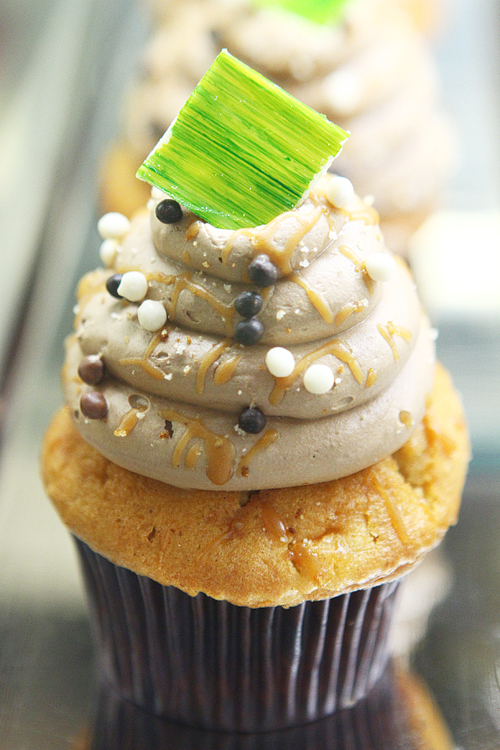 Oh, and we’d be remiss if we didn’t mention Baby Cakes also boasts some of the best gelato in Las Vegas. Note: Fornicating with gelato may make it melt faster. Allegedly. 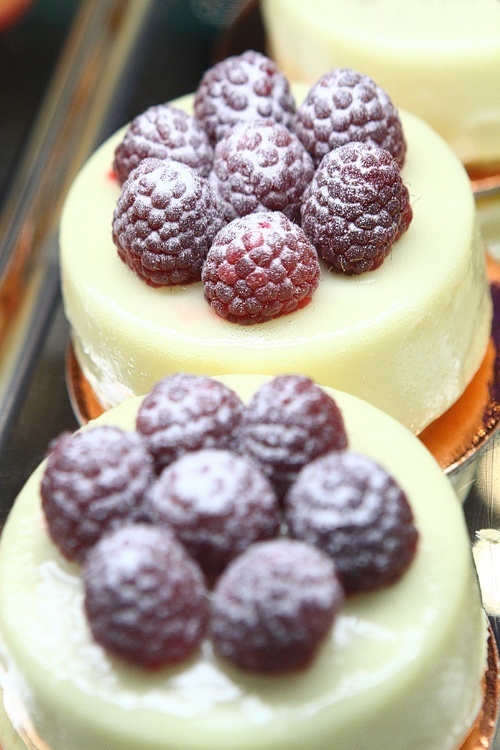 Here, then, are a dozen random samples of the patisserie (a fancy word for bakery) experience that awaits at Baby Cakes inside M Resort Las Vegas. This entry was posted in Las Vegas on November 30, 2013 by Scott Roeben. 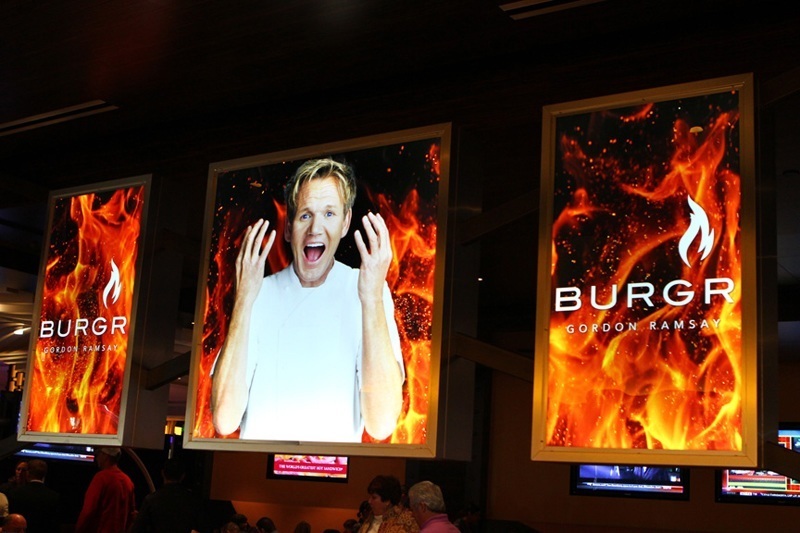 Business is booming at Gordon Ramsay’s BurGR at Planet Hollywood, and for good reason. 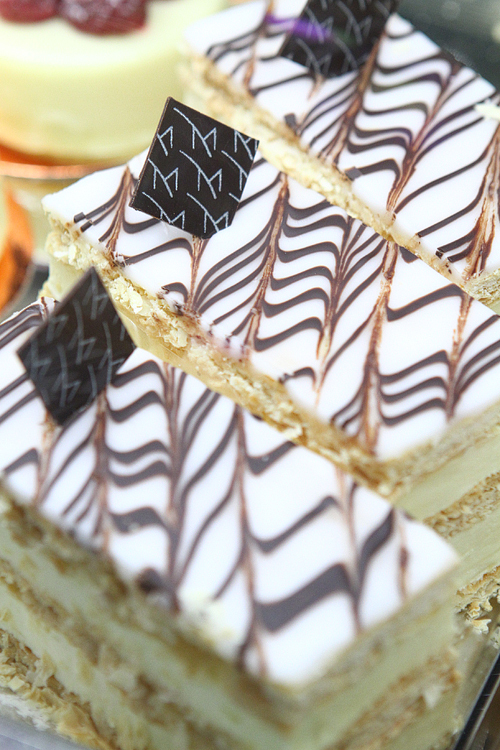 The burgers are reliably good, and the cocktails and desserts are icing on the cake. Gordon Ramsay’s BurGR is such a hit, in fact, we hear a yet-to-be-announced expansion of the 5,660-square-foot restaurant is in the works. The planned expansion is likely to swallow up the abutting Extra Lounge, although the details aren’t available at the moment. (Please keep the bar, Planet Hollywood. We’ve had great luck on those video poker machines.) Once closed, the Extra Lounge brand is likely to be relocated, possibly to The Linq. Celebrity Chef Gordon Ramsay has two other restaurants on The Strip with his name on them, Gordon Ramsay Steak at Paris Las Vegas and Gordon Ramsay Pub & Grill at Caesars Palace. Since good things come in threes, here are three stand-out burgers at BurGR. The Farm Burger ($15) boasts a pattie made of a blend of three meats: chuck (50%), short rib (25%) and brisket (25%). 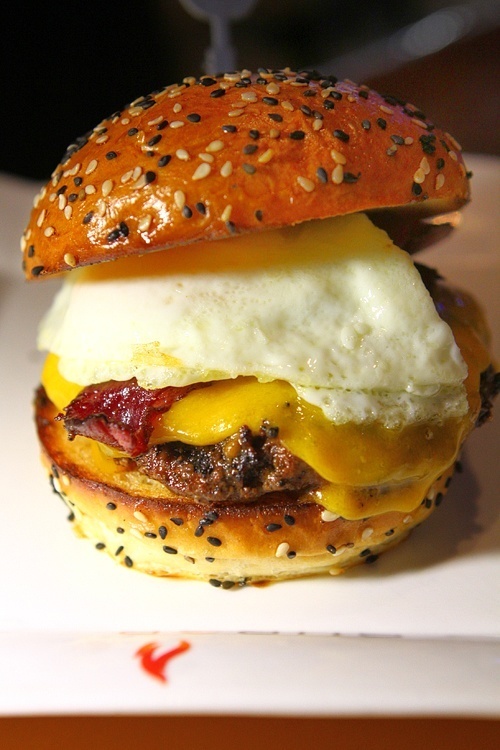 The Farm Burger is topped with duck breast bacon, English sharp cheddar cheese and a fried egg. BurGR burgers are grilled over apple and alder wood. The restaurant opens at 11:00 a.m., so technically, that’s morning wood. 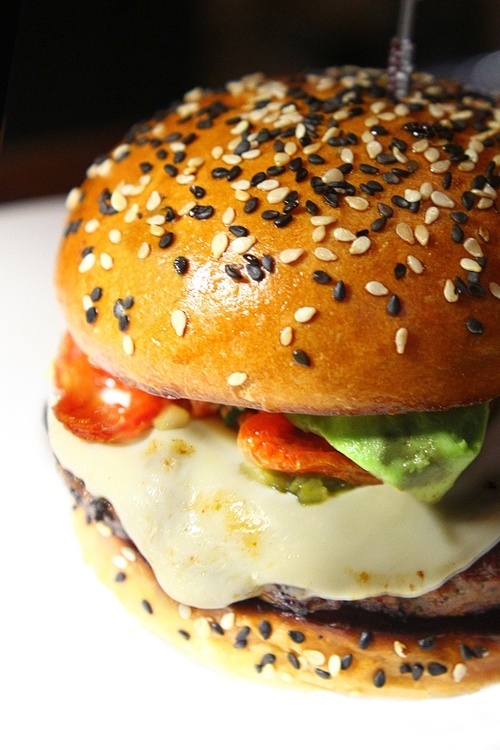 Named after Chef Ramsay’s popular reality show, the Hell’s Kitchen Burger ($14) again has a three-meat pattie, plus asadero cheese, roasted jalapeno peppers, avocado and oven-roasted tomatoes. 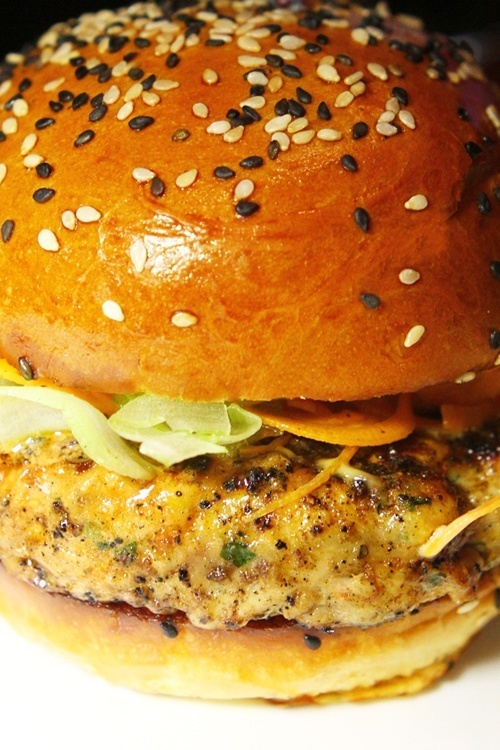 The Damnation Chicken Burger is dressed with fiery hot mayo, maytag bleu cheese, celery and carrot slaw. You may want to order this one with a side of fire extinguisher. Whichever burger you try, save room for a BurGR shake! 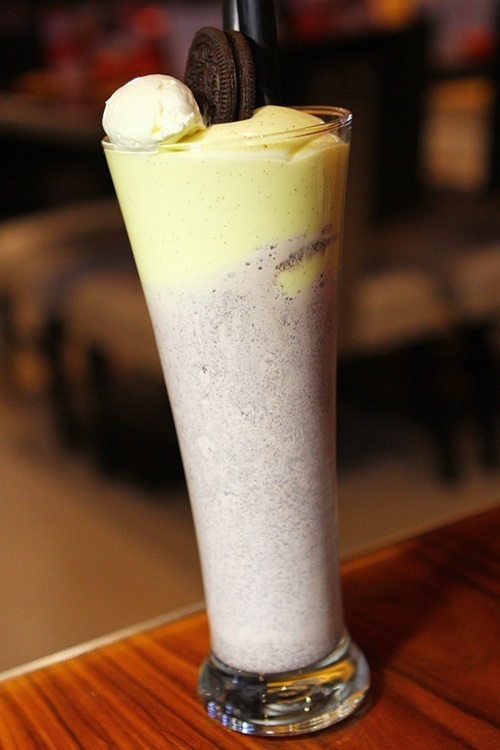 Our favorite is named “Shake #4” ($9) with crème brûlée pudding on top and Oreo shake down below. While $9 might sound a bit steep for a shake, remember, the funky accent marks over the letters in “crème brûlée” are included at no additional charge. See the full BurGR menu on the restaurant’s official site. Make sure to show your Total Rewards player’s club card to get a buck off just about everything on the menu. This entry was posted in Las Vegas, Las Vegas Restaurants on November 29, 2013 by Scott Roeben. 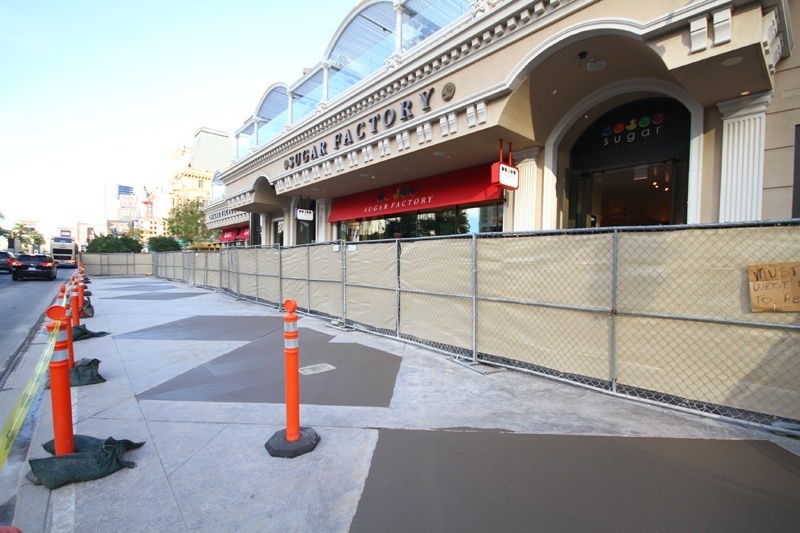 The Sugar Factory restaurant and store at Paris Las Vegas is moving ahead with an expansion of its outdoor patio. Patio seating, of course, is at a premium given the prime location of Sugar Factory, and the restaurant will soon be giving Mon Ami Gabi restaurant (also at Paris) a run for its money in terms of world-class people-watching. At the moment, work is being done on the sidewalk along Las Vegas Boulevard. Yes, in Las Vegas, certain sidewalks are news. The expansion will also include the addition of trees and shrubs. 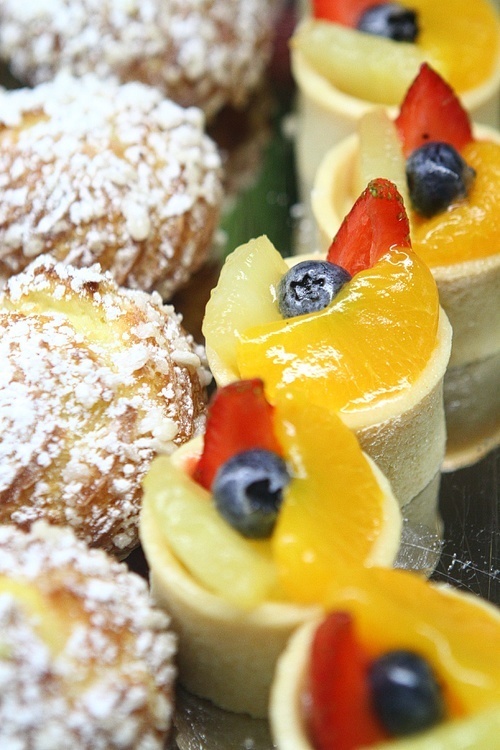 Not all that appetizing, but the dessert below might be. 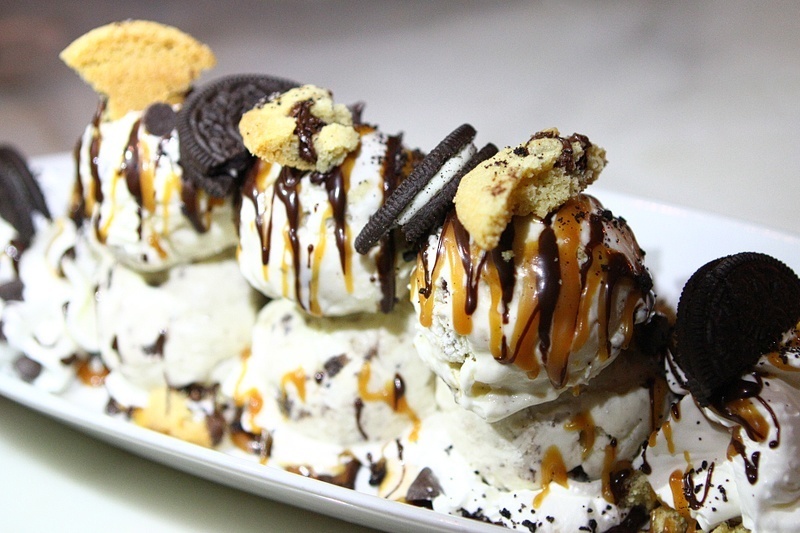 Cut to a gratuitous photo of the Cookie Jar Sundae, one of our favorite desserts at Sugar Factory. 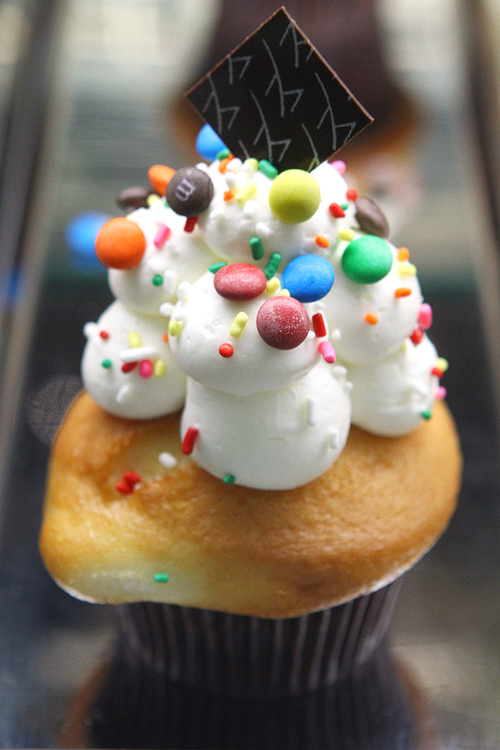 Beyond the expansion of its Paris Las Vegas location, Sugar Factory recently opened another outpost at Town Square, just south of the Las Vegas Strip, in the former location of the Meatball Spot (which will soon re-open at Planet Hollywood). 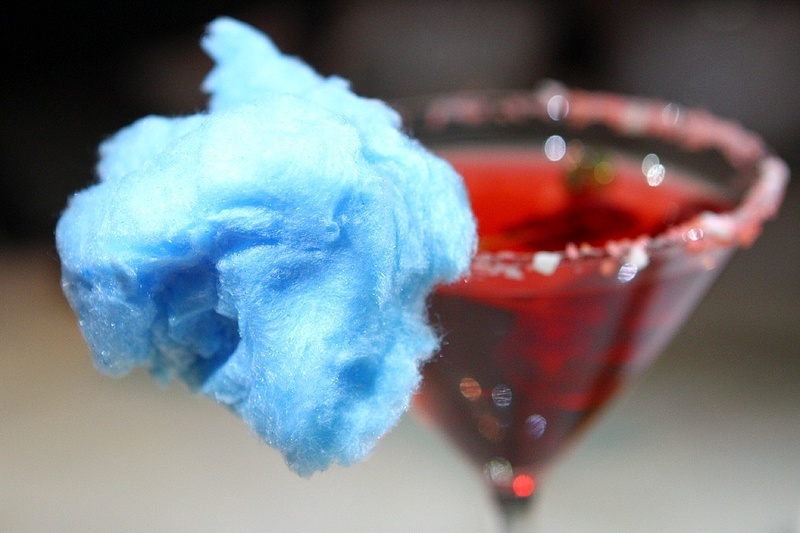 One cannot live by desserts alone, so try the Cotton Candy Cosmo. Doesn’t count as a dessert if it’s in a glass. 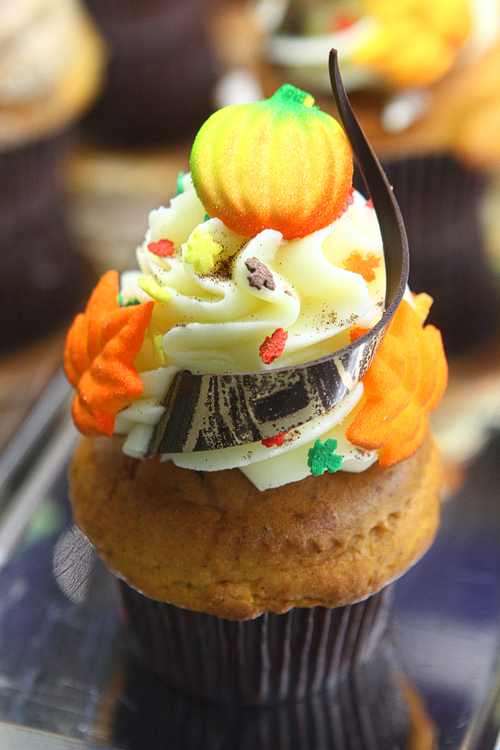 There are also Sugar Factory stores at The Miracle Mile Shops at Planet Hollywood, MGM Grand and The Mirage. 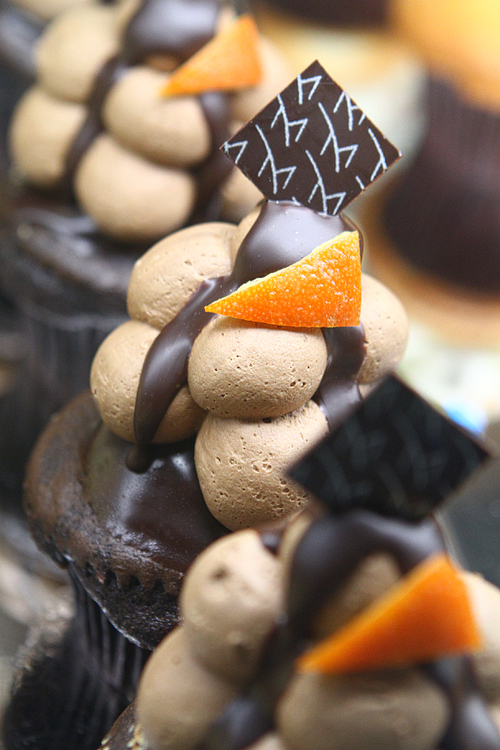 Here’s more about Sugar Factory. This entry was posted in Las Vegas, Las Vegas Restaurants, Las Vegas Shopping on November 29, 2013 by Scott Roeben. In Las Vegas, some people love their fancy cocktails. Others, however, prefer an over-sized slushy drink in a clever slushy drink cup. 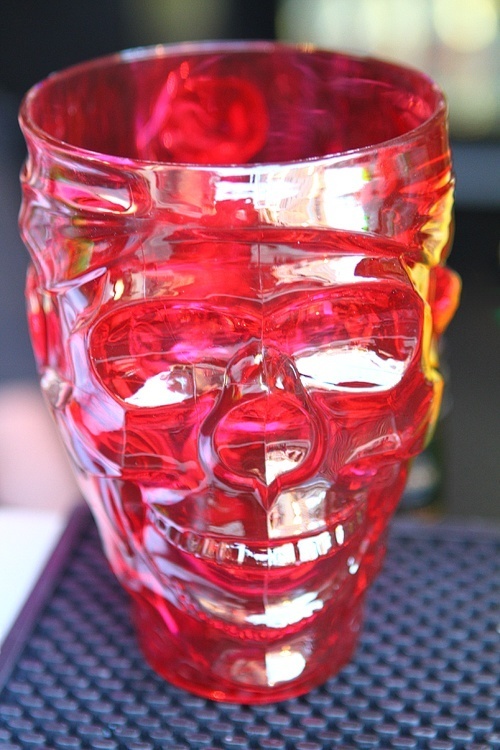 Here are some of our favorites, of the slushy drink cup variety. This one might be our very favorite. 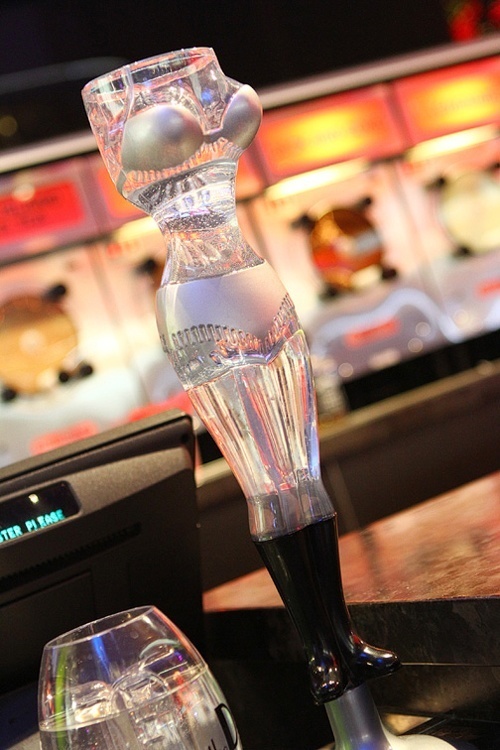 It’s the Golden Gate’s go-go dancer drink cup. A little sass, a little old-school class. Fill it up with whatever, it’ll run you about $35. 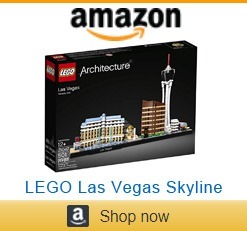 You can also get them at the Golden Gate’s sister hotel, The D, both downtown. Alas, the “Sirens of TI” show has closed for good, but you can still grab some pirate booty with this keepsake cup. 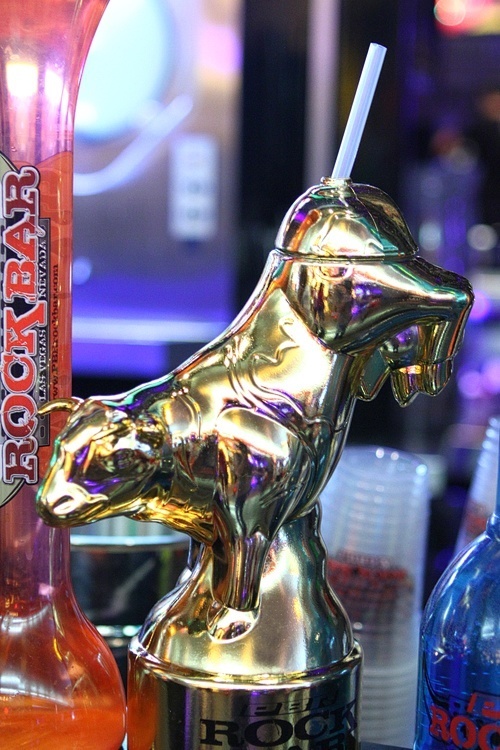 Easily the most awkward of the slushy drink receptacles presented here, you can get this keeper at PBR Rock Bar at Planet Hollywood. We trust they’re being ironic. 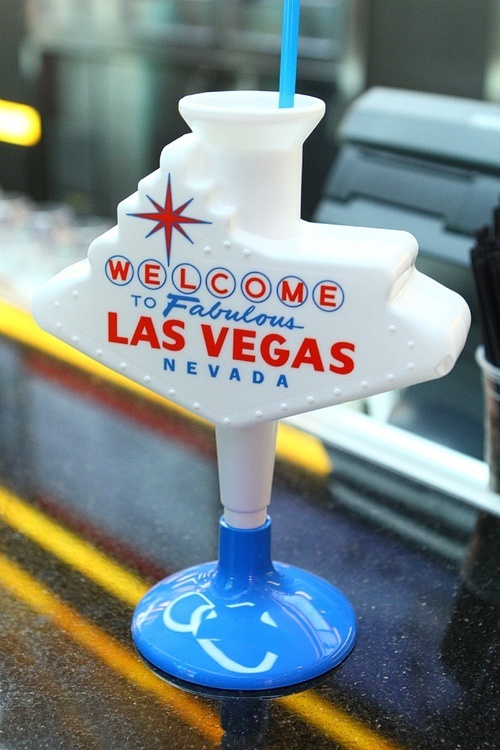 The Golden Nugget recently opened its outdoor Stage Bar, and dutifully offers a cup shaped like the “Welcome to Fabulous Las Vegas” sign. A little on-the-nose, but we love it. 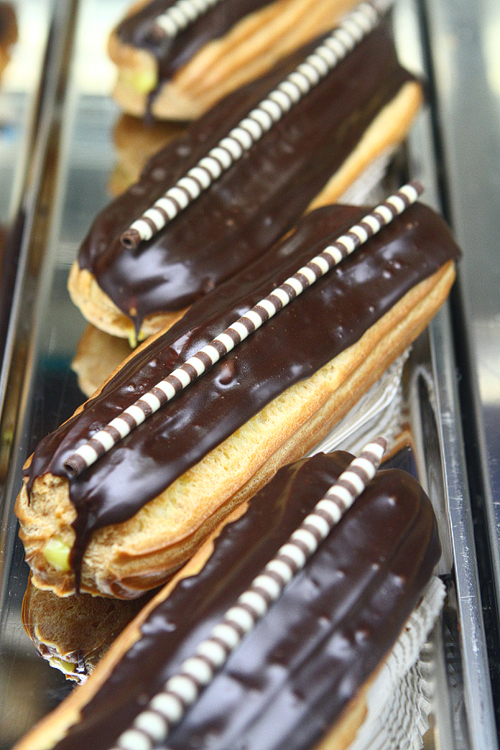 Save some room in your suitcase for this baby. You’re either serious about slushy drinks or you’re not. If you’re serious, how can you resist a blinged-out cup with a neck chain. Because carrying things is lame. A sure-fire way to never lose your slushy drink. 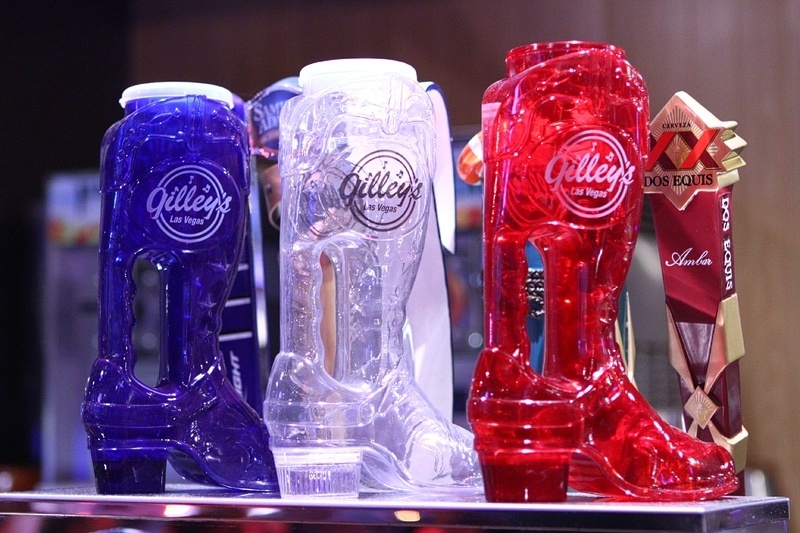 Cowpokes and ordinary folk alike love the boot cups at Gilley’s inside Treasure Island. 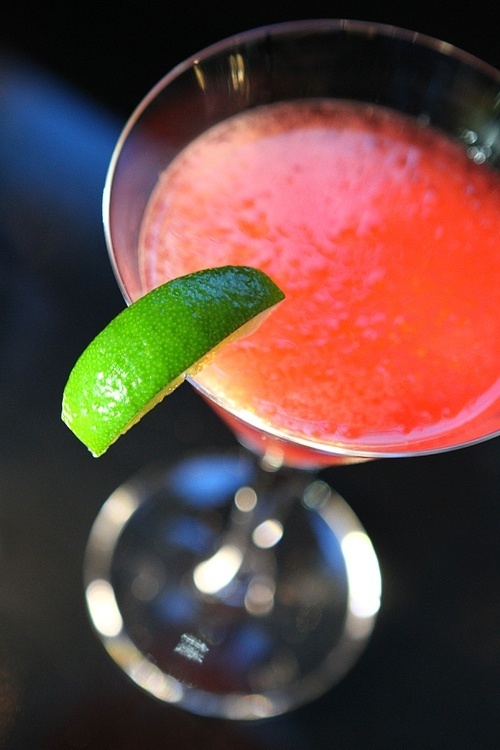 Add an extra shot to your frozen drink for a bit more kick. So, what’s your favorite slushy drink cup? Ever get an Eiffel Tower-shaped cup at Paris Las Vegas, or one of the many slushy drink guitars around town? 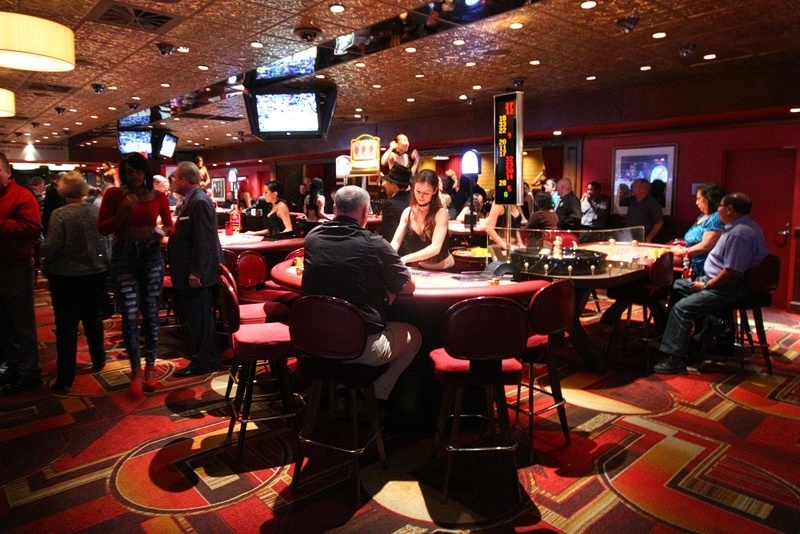 This entry was posted in Las Vegas, Las Vegas Bars on November 28, 2013 by Scott Roeben. It’s Thanksgiving, and we’re feeling appreciative for lots of things Las Vegas has to offer. 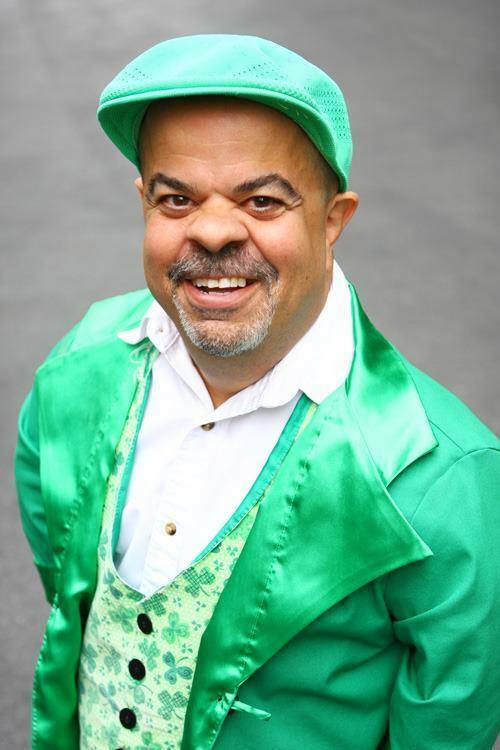 We’re not just happy O’Sheas is coming back at The Linq, we’re doubly happy Lucky the Leprechaun (Brian Thomas) will be returning, too. This little dude with a big heart knows how to host a party. Lucky’s been around, there just hasn’t been an O’Sheas for him to be around in. O’Sheas opens in December at The Linq. While we don’t personally have any tats, we appreciate some great Vegas-themed ink. A little Flamingo, a little Vegas Vicky. Honestly, it was about time this clunker of a show at Treasure Island was scuttled. Are we thrilled it was closed to make way for a shopping mall? Not really, but “Sirens of TI” was one of the few shows in Las Vegas that could make a pharmacy seem entertaining. Las Vegas has some of the best gelato in the known universe, and for that, and treadmills, we’re forever thankful. 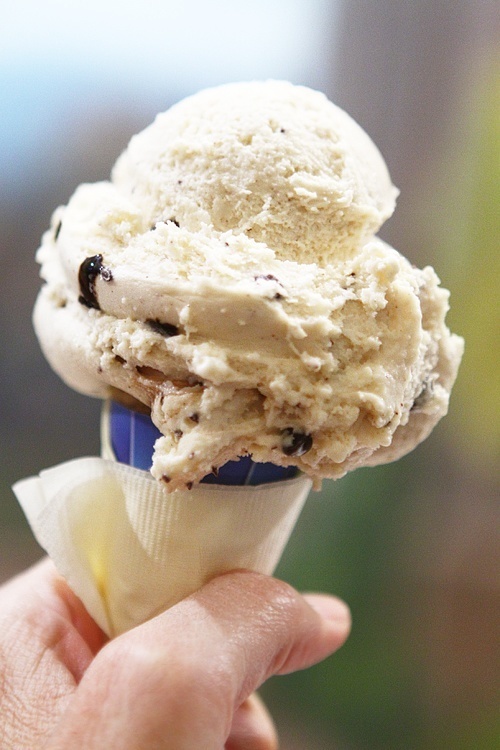 “Gelato” is the Italian word for ice cream. It just sounds so much more romantic than ice cream. Anytime a new hotel opens in Las Vegas, like the recently-unveiled Downtown Grand, we’re thankful. 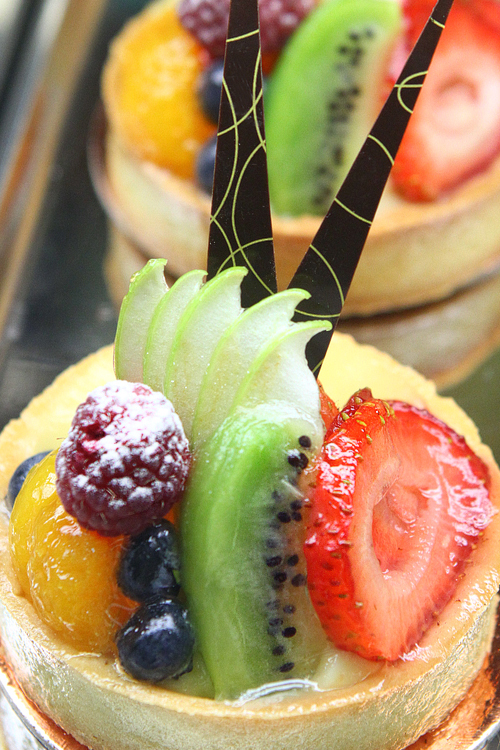 There are new restaurants to try, new gaming chips to collect and new mattresses to jump on. Not that we’d do that, of course. 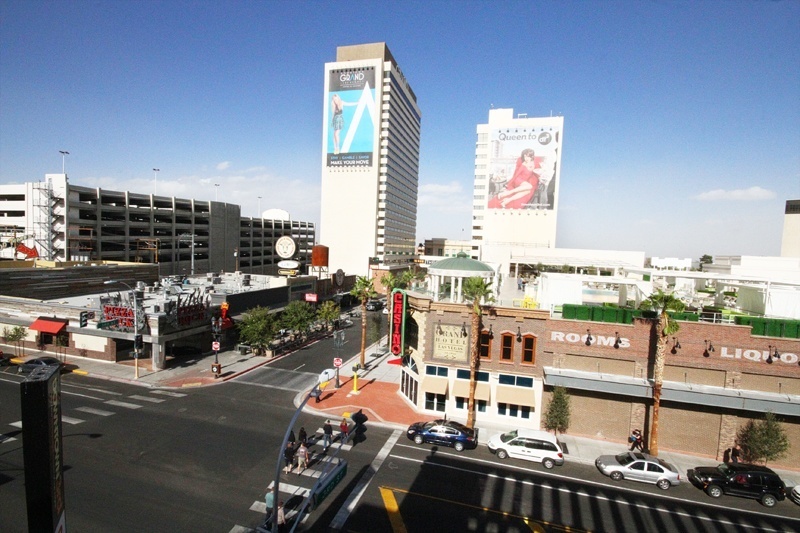 Downtown Grand is in downtown Las Vegas. It’s cleverly named like that. Liquid Lapdance is a special undergarment to enhance the lapdance experience. ‘Nuff said. 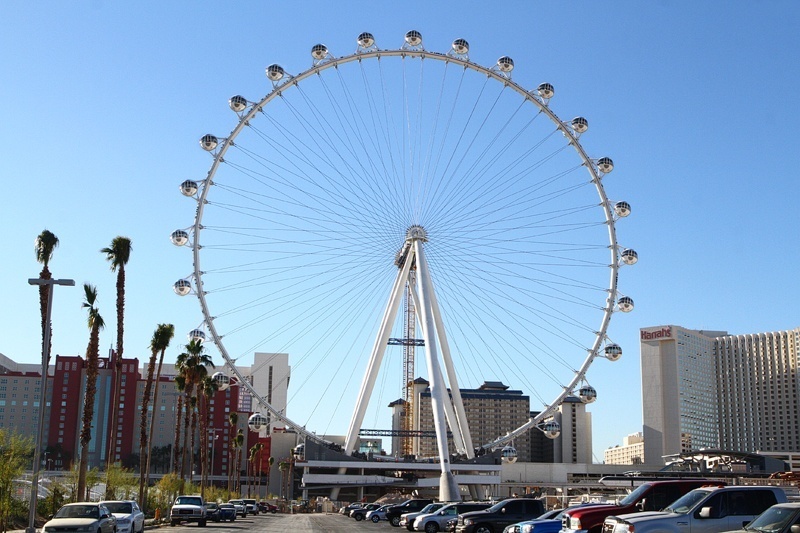 The High Roller is the world’s tallest observation wheel. 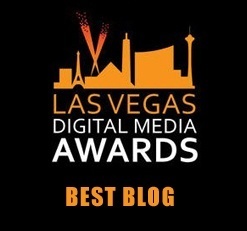 We might have mentioned it a time or two in this Las Vegas blog. Las Vegas has always gotten high marks for sass, and we’re thankful that feisty spirit never abates. If you’re looking for political correctness, you’re simply in the wrong place. When it comes to being itself, you just can’t lick Las Vegas. 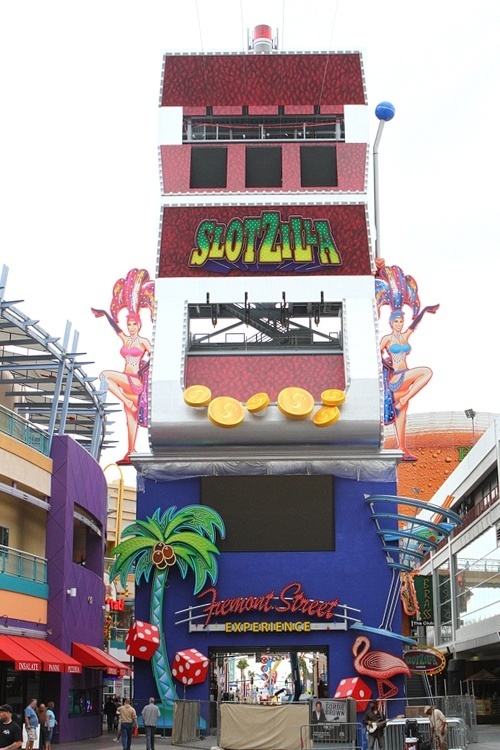 The SlotZilla zip line attraction in downtown Las Vegas is nearing completion, and it’s a doozy. Las Vegas has got the creation of larger-than-life attractions wired. 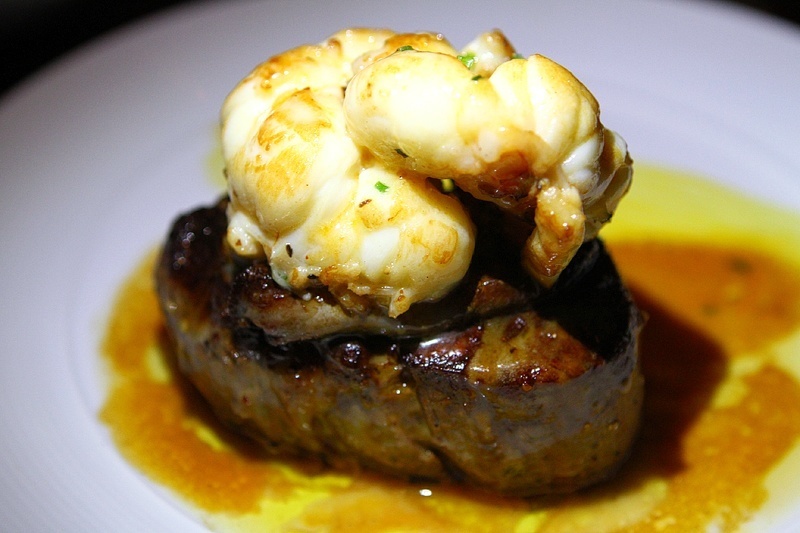 In Las Vegas, it seems like there’s a spectacular steak around every corner. You can get tasty filet mignon, get steak at a restaurant that doubles as a nightclub, and Las Vegas even has a cut of beef named after it. 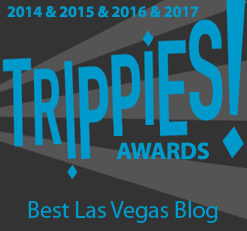 The seafood in Las Vegas rates a mention, too, of course. They come in all shapes, sizes and flavors, and we’re thankful for them all. Las Vegas has a boundless bounty of booze. There are no words to express our appreciation. Thankfully, they also accept tips. So, let’s hear it. What Las Vegas things are you thankful for? Have a great Thanksgiving, and thanks for visiting this humble Las Vegas. It means the world to us. This entry was posted in Las Vegas on November 28, 2013 by Scott Roeben.